The Sukanya Samriddhi Yojana is as girl child prosperity scheme under Beti Bachao Beti padhao program of Prime Minister Narendra Modi. SSY account is to ensure a bright future for girl children in India. This yojana is to facilitate them proper education and care free marriage expenses. The scheme has well been accepted by the masses in wake of the financial security and independence it would provide to the girl child as well as their parents and guardians. This Yojana offers a small deposit investment for the girl children as an initiative under ‘Beti Bachao Beti Padhao’ campaign. One of the key benefits of the scheme is that it is quite affordable and offers one of the highest rates of interest. Please see this page for current SSY interest rate and also SSY is under the Income tax Act 1961, section 80C. You can deposit Money Online. Partial withdrawal for girl child education can be done when she has cleared 10th Class or turned 18 years. Now can now transfer you SSY accounts. If you would do from post office to post office it would be free. But transfer from Post office to banks or vice versa would cost you rs 100 and you can do this only once in a year. You can now withdraw 100% amount when after girl child turns 18. Initially it was not allowed. You have to pay in this scheme for 14 years Suppose you have opened this account when the age of your girl child was X years then you have to pay in this scheme till your girl child age is X + 14 Year. The maturity duration of the account is 21 years from the date of opening the account. The scheme comes from Ministry of Finance under its notification GSR 863(E). This notification was published on 02nd December 2014. The scheme will operate with the name Sukanya Samriddhi Account Rules, 2014.
Who would be the Depositor? Since this is an account dedicated to the girl child, a parent or guardian of the girl child could be depositor of the account. Any legal guardian or parents of a girl child can open SSY Account under this scheme anytime at the time of birth of the child till she attains an age of ten years. As a matter of exception, any girl who attained an age of ten years within one year prior to announcement of this scheme would also be entitled to get this account opened under her name. The government have authorized various financial institutions for opening of account under this scheme. You can open SSY accounts in these Authorized Banks and Post Office. The normal tenure of the account is up to the age of 21 years of the girl. However, if she wishes to continue the account further, the maturity amount would grow at the same interest rate as per the scheme’s current rates. The interest would be compounded on a monthly/yearly basis and would get credited to the account once the girl reaches an age of 14 years You will Now not get any interest after the maturity Period as per updated rules. Who is authorized to operate Sukanya Samriddhi Account? As mentioned earlier in the article, the account could be opened by the parents of legal guardian of the girl child. They would be operating the account until the girl child turns 10 years. After 10 years, a girl child may operate her own account, if she chooses to. SSY has been launched across India and hence the account is transferable to any part of the country in situation of the account holder or the depositor moving to other places. The scheme clearly envisages that a pre-mature amount of up to 50% is allowed for withdrawal after the account holder turns 18 year for the requirement of either marriage or higher education. Updated :- Now this account can be closed after girl child turns 18. Any amount that would be deposited in Sukanya Samriddhi Account would be exempted from tax under 80C of IT Act, 1961, till a maximum of Rs 1.5 lakh. The interest and maturity amount on this account is also exempted from income tax. Also the amount matured at the time to account closure would be completely tax free. No fixed number of deposits. The depositor can deposit a multiple of Rs 100 through out the year, with no limitation on number of deposits. This is indeed a big advantage of the scheme. 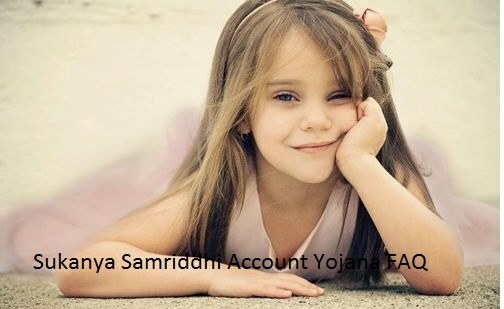 Girl child / Account holder may operate her account, if she wishes to. This would give a lot of financial independence to the girl child as well. To conclude, the intent of the scheme is quite noble and would certainly provide a lot of financial independence to the girl child as well as their parents and guardians. At the same time, considering the leverages and flexibilities it provides, we are sure that it would bring a lot of capital to the banks. The only thing we would not be sure of as of now is how this scheme would be taken by the forthcoming budgets and government at the center. Can I pay deposit through net banking/online after opening an account? Can I pay deposit through net banking /online after opening an account ? I have SSY account in Post office, can I pay online through net banking. Yes will IPPB mobile banking you can. May I know is it a government website ? Very fine one by our PM… hope some more comes like that.. great job Sir. what is the future of this scheme. I mean if congress comes to power then will this scheme survive? Kindly let me know whether I can transfer money from my bank account. Can i deposit once in a year or half yearly. yes if you have ssy account in banks. I gave application for transfer SSY AC. From post office to my bank (DENA) but after all transfer process,and even though my bank got cheque to transfer the AC., not able to open SSY AC.?!! Can’t understand why this type of problems occurred in our financial systems? Can i open an account for my niece. they are economically no good. My daughter is 9 years old and I am planning to open SSY account for her. I have a doubt regrading how long will I have to invest money in it. On one side it is mentioned that we need to invest for 14 years (she will be 23 by then) and it also says that account will mature when she is 21 and no interest will be paid after that. – You have to pay in this scheme for 14 years Suppose you have opened this account when the age of your girl child was X years then you have to pay in this scheme till your girl child age is X + 14 Year. – The maturity duration of the account is 21 years from the date of opening the account. Main ye Yojana open kr skta hnu this yr ,. Abhi bhi ye Yojana chalu hain ? Bank / post office kya thik rehga ye Yojana opening k liye ?? Opening balance 100000 hua next year 1000 kr deposit kr skte hain to ??? Koi problem to nhi ??? 18 yrs bad maturity value kya hogi ?? Rate of interest fixed rehta hai ??? I would like to know, can NRI open this SSY account? My Daughter was born in 2014 in India. if i pay 1000 per year until 14 yrs at the end of 21 yrs the amount we get back ????? I have SSY account in PNB Bank, can I pay online through net banking. For payment through net banking, whether transfer is to effected through neft? or otherwise? for this you will have to contact your respective bank. Can we apply for ssy for her? can i open my niece acount?? I have opened account in canara bank can I pay on line and how can I check balance. you will have to contact your bank for the same. Ist year my Investment amount Rs.1000/p.a. Should i able to change the premium rate next financial year more or less ? if both parents and daughters current status is Indian Resident then only you can apply. i have opened a account for my daughter. right now im in abroad. help me, how to made online payment? only 2 accounts are allowed. I have opened sukanya account for my baby girl in Axis bank but not able to transfer money from any mode into that account as it saying sukanya account is not authorised for this. Can i know how can i transfer money from my bank account to sukanya account. I have SSY account in State bank of India, right now monthly once amount automatically transferred from my SBI Saving account to my SSY Account. How can i Check my SSY Account statement in online and i would like download SSY payment receipts as well as? is it possible to download SSY stATEMENT through online? i think you can add your sukanya account in yur online sbi account. it will give you access to everything you need. sir recently we learned from some branches that PAN card is mandatory for opening Sukanya Samrudhi Account, (Parent / Guardian) Please confirm whether is it so ? I am working and residing with my wife and daughter in UAE. we frequently come to India on vacations. Having this status am i eligible to open SSY account for my daughter? All of us holding Indian passports only. If not, can my parents open account for my daughter on behalf of me? I have a daughter born in US with US passport. Both parent have INDIAN passport and we have moved back to India for good. Can we open SSY for her. Her birth certificate is also from US but she has a OCI card. Current status for us is INDIAN resident. I have Not deposit last two years because I shifted to another place. Can I deposit in another post office. Yes. you can deposit SSY account from any post office branch if you have opened SSY account in the post office. 1) as per the two withdrawal rule says, once she Turn 10th std / 18 years we can withdraw 50% of accumulated amount : after withdraw of 50%, can it will be continue for with interest till completion of 21 years. SBI staff says that Intrest will be paid on every 5th of a month. whereas your website says that as per new rule from 2017 interest will be paid on every 10th the month. I have opened my both girls SSY account in Mar’15 at Post Office, and every month I am visiting to deposit post office, I can’t deposit online through any mode of transaction. So plz suggest me, how can I transfer money online to SSY account? Postmaster from starting says this facility takes some time. you can transfer your account from post office to any bank. Sir I have opened this account in post office for my daughter but came to know his grand father had recently opened some account in his bank. My question is if two accounts can be operated simontaneously if no then how I can close account. no you cannot open 2 account for same girl child. Please contact your bank to close one of the account. I and my family are staying in QATAR but holding Indian citizenship. During my last vacation i have opened SSA in my daughters name. I have even deposited money initially. Now i happened to know that NRI’s are ineligible to open this account. Neither i was aware nor the bank manager (SBI) told us this. Now would i be able to continue this account and avail the benefit or ill have to suspend this account? My daughter is 6 months old and i want to open SSY account for her. Bank is asking Aadhar card of my child along with Birth certificate. As per your website Aadhar card of child is not required. Pl suggest how to handle this communication. And if not then is it possible to close the account abd reopen new account with the new amount what I want? you can deposit rs 1.5 lakhs in this account per year. you will have to contact with axis bank about this. I have started a SSYA in the name of my daughter Lavishka Agarwal with Hojai Post Office(782435).But unfortunately she had expired on 24/08/2017 and after that it has been almost an year that I am repeatedly being asked for some irrelevant documents like affidavits and letter of indemnity to support my claim, whereas it is clearly mentioned un your site that only death certificate is required for settlement of such cases. Finding no other solution to my problem , i am writing here with a hope to see some way out.. Sorry to hear about this. But we are private organization who provides information. we cannot help you in any way. I and my daughter were staying in UAE. Now we have moved to Indian an she joined in an school here. However, my husband is still working and residing in UAE. Having this status am i eligible to open SSA account? If yes, what will happen if we move back to UAE again after opening the account? to Whom name cheque should be issued if Sukanya Account is opened in bank? At the time of opening SSY in post office, kept the guardian as mother. Can we add further the guardian as Father for Tax benefits. If it is possible then wt will be the process and how to approach. Appreciation for prompt response. yes you can, contact your bank. you can pay as much as you like but leass than 1.5 Lakhs per year. Hi, i would like to know about the maturity period of SSY – is it when the child becomes 21 years old or 21 years from the date of opening the account? Is the maturity amount taxable upon withdrawal? Can some amount be withdrawn at the age of 18 or 21 years of the child on account of study and marriage? If so what I have to do? If I am opening two account for two daughters and investing 150000 in each account in a financial year. will I get interest in both the account. I am planing to send them back to India and i will be continuing working here in Oman. Can i open SSAY when i will send my family to India or no. please advise.